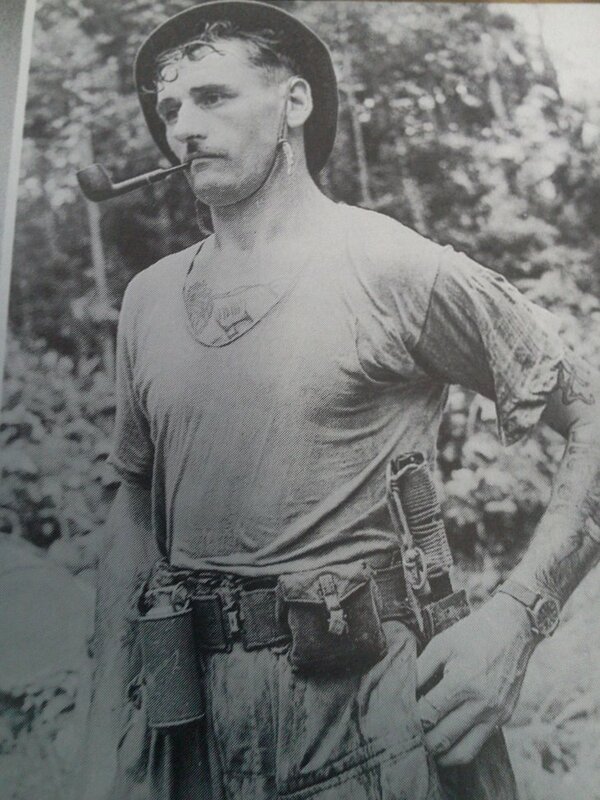 During the Malaya Emergency, the British Army witnessed the rebirth of a very specialized unit, the SAS. 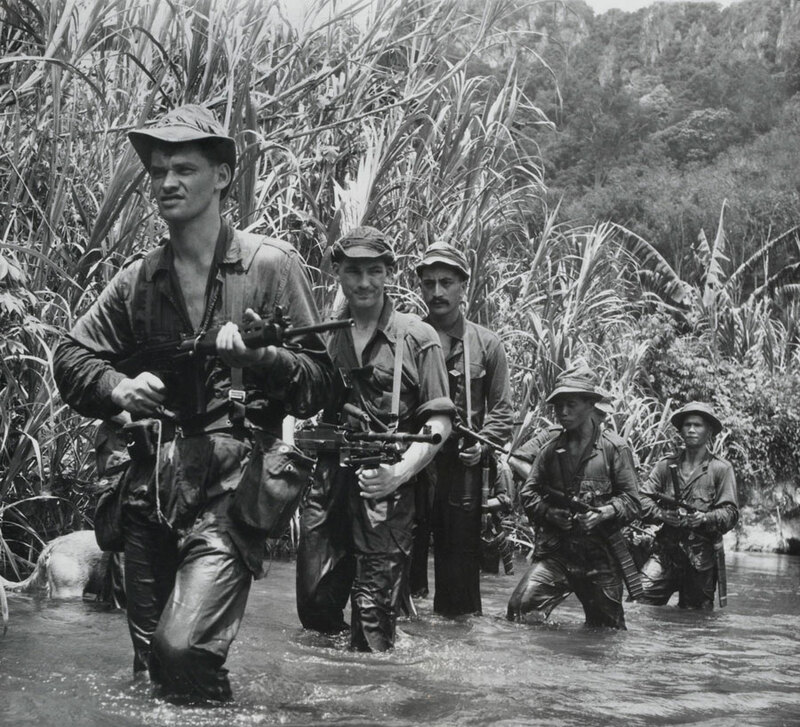 Disbanded shortly after the end of the Second World War, the specialists of the SAS returned to the fold in 1950 when General Sir John Harding, Commander-in-Chief Far East decided he needed independent advice from an expert in jungle warfare. He called in Major 'Mad' Mike Calvert who had considerable experience of jungle warfare in Burma during the Second World War. Calvert had also been one of the prime movers in ensuring the SAS ethic hadn't died out at the end of the war. Calvert went to Malaya with an open brief and spent several weeks touring the country. At the same time, Lieutenant-General Sir Harold Briggs was sent out as Director of Operations in Malaya. The Briggs plan incorporated several people's input, including Calvert's, and focused on interdicting the Communist Terrorists' food and intelligence by denying them support and freedom of movement. 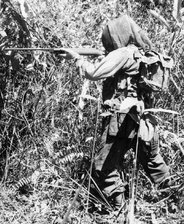 Calvert's contribution was a force of troops who could live in the jungle for long periods and win the confidence of the aboriginal tribes, control the enemies' movements and force them into the open where the regular army and police could deal with them. Calvert was authorized to form his special force, but it was stressed that it would be only for the duration of the emergency, under Far East Command and with nothing to do with the SAS territorial set-up in Britain. 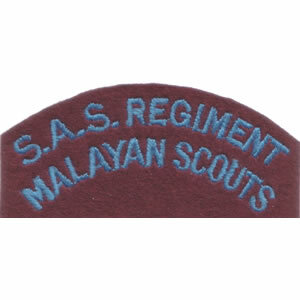 The new formation was called the Malayan Scouts (SAS). 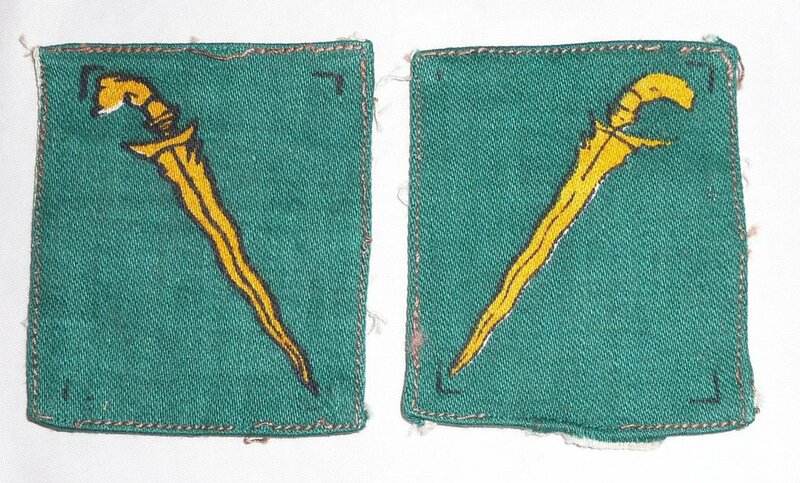 They wore shoulder titles on their olive green jungle uniforms and under the titles were the green patch and yellow kiss of the local command. Calvert's initial step was to search for volunteers in the Far East, and produced 100 men who formed A Squadron. The second source of recruits was the group of wartime reservists who had been formed to fight in Korea, commanded by Major Anthony Greville-Bell. These highly experienced men arrived in Malaya in January 1951 and formed B Squadron. C Squadron came from Rhodesia where Calvert had picked them on a quick visit from 1,000 volunteers. The Malayan Scouts set up base camp at Kota Tinggi near Johore and Major John Woodhouse started an ad hoc induction programme. Calvert was an enthusiast for practice using live rounds and he was under pressure to get results quickly. The new arrivals from Britain were not impressed and sent back reports of indiscipline and heavy drinking to 21 SAS, which marred the reputation of A Squadron and its founder. 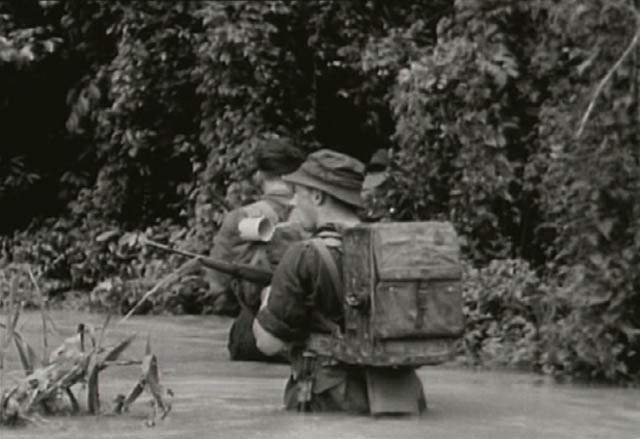 Calvert decided to insert patrols of 14 men into the jungle around Ipoh, where he set up his operational headquarters. Accompanied by a few local police and Chinese liaison personnel, they set up a temporary base camp while a raid and four man section fanned out to explore the jungle and interdict known CT approach routes. 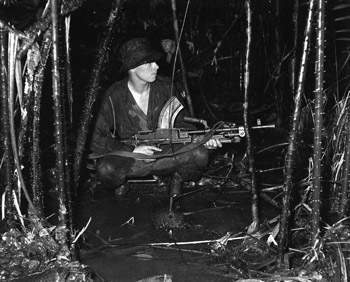 Standard doctrine said that an army patrol could not exist in the jungle for more than 7 days, yet one of Calvert's group stayed in the jungle for 103 days, resupplied by helicopter. These patrols began the painstaking process of winning the trust of the aboriginal tribes. 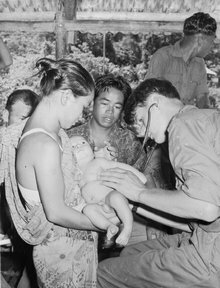 Medical clinics, staffed by SAS personnel were established in the jungle villages for the first time. Calvert returned to England in autumn 1951 suffering from a variety of ailments and the stress of several years of continuous warfare. The new Commanding Officer was Lieutenant-Colonel John 'Tod' Sloane, a regular Argyll and Sutherland Highlander with no background in Special Forces. He brought in a strong measure of discipline and normal military order. He pulled the squadrons out of the jungle and instituted a period of solid retraining for all personnel, after which in late 1951 and early 1952, they were backing up ordinary police patrols. Sloane also persuaded several officers to stay on after some had decided to leave, fearing for their promotion prospects, which might be blighted by their association with a 'cowboy outfit'. Johnny Cooper, a wartime veteran and one of 'Stirling's Originals' joined at that time, returning from civilian life on a short service commission as a Lieutenant. He arrived in Singapore at the beginning of 1952 and was posted as a troop commander to B Squadron. The SAS returned to deep penetration operations in February 1952 when all three squadrons participated in 'Operation Helsby'. This Operation was to destroy an enemy farm in the remote Belum Valley close to the Thai border, flush out the terrorists and destroy their base. 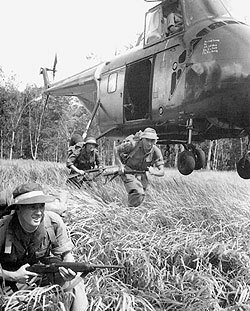 A mixed force of SAS, Malayan Police and a Royal Marine Commando were chosen, with B Squadron dropped in by parachute as a blocking force until the foot patrols could arrive on the scene. 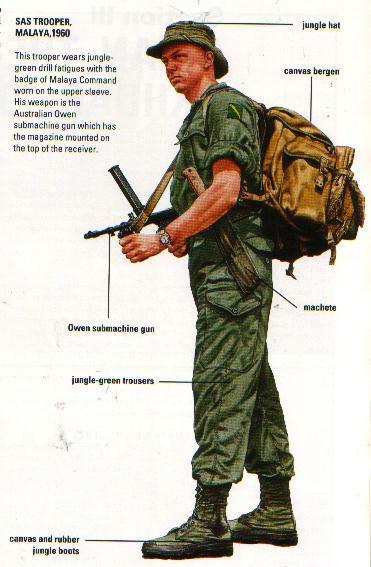 With no training facilities for airborne forces, the SAS improvised their own. A collection of scaffolding poles, ropes, planks and pulleys was borrowed from the garrison engineer and the men built a series of gantries from which practice descents could be made. They then persuaded the RAF to lay on the aircraft so they could make some practice drops. Although no qualified RAF instructor was available, the Air Officer Commanding cut through red tape and provided three Australian Dakotas and an instructor, who was immediately transferred when discovered. The trusty old Dakotas took up 20 men at a time to make basic jumps and then practice dropping with kit bags. 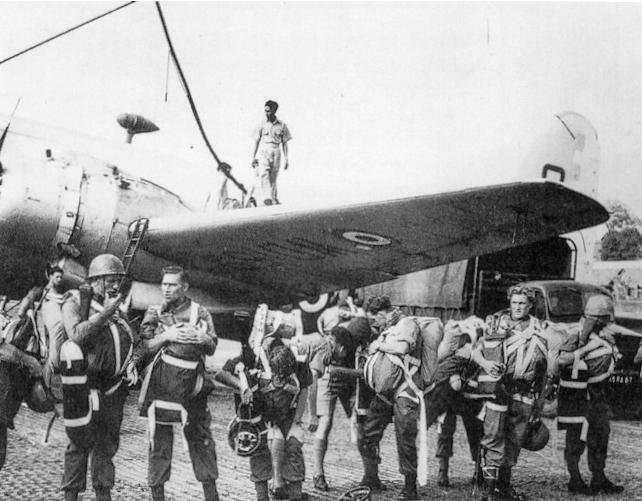 Shortly afterwards the Far East Parachute School was established on a permanent footing at Changi airfield in Singapore. 'Helsby' started with a long and arduous approach on foot by A and C Squadrons with detachments from the Royal Marine Commandos and local police. 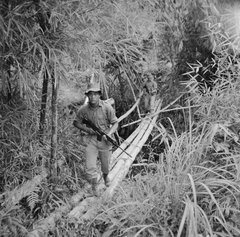 As they approached the heart of the Belum Valley, where some 100 CTs were located, 54 members of B Squadron dropped into a jungle clearing. The operation achieved little besides destroying the CTs' crops, the terrorists having long since fled. The parachute drop started a series of experiments, which were carried out in the spring of 1952. 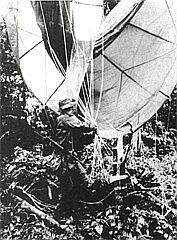 These involved experiments in dropping into the jungle with ropes. In case the men got tangled in the trees, they could then drop the rope and descend to the floor of the jungle. This still had problems, as the men could be impaled on bamboo if they didn't snag the branches. This was the SAS' next major sweep, in the jungle of the state of Negri Sembilan. It lasted for nearly two months from November 1952 and also involved a company of Fijian infantry and two battalions of the 2/7th Ghurkha Rifles. Its aim was to disrupt CT operations and kill as many as possible in ambushes but there were insufficient men to contain the hundred enemies in the area and the whole effort resulted in just 16 dead terrorists. Although these early operations were not successful on the scale envisaged they provided important lessons. The development of a 14-day ration allowed small parties to operate independently and the majority of the ration was dehydrated so there was little need for heavy tins. Rice was used to provide bulk and new weapons were tested and approved, including shotguns and the short-barrelled American M1 Carbine, which remained a favourite personal weapon as it had in the Second World War. 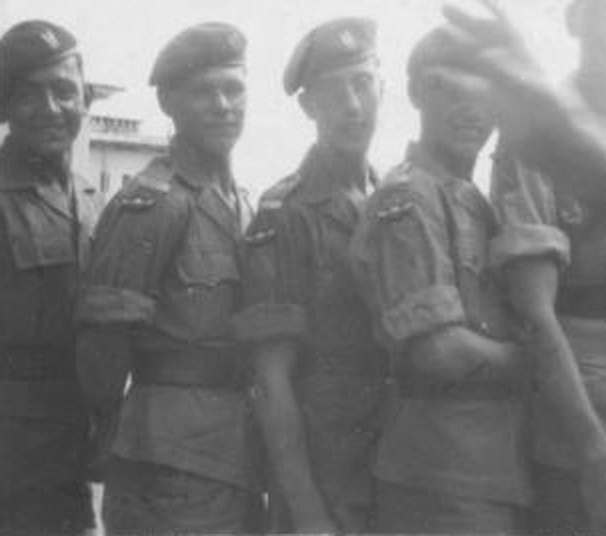 Lieutenant-Colonel Sloane handed over command of 22 SAS in 1953 to Lieutenant-Colonel Oliver Brooke and towards the end of that year the Rhodesian C Squadron departed for Rhodesia. D Squadron was raised locally from volunteers and was commanded at the beginning by Johnny Cooper. During this period the rest of the SAS concentrated on raising local forts and gaining the confidence of the local tribes. This building programme marked the start of the main SAS involvement with the 'Hearts and Minds' program. The men would win over the aborigines by sharing their lives, learning their language, eat their food and understand their customs. The SAS men began to muster the skills of medical care including basic midwifery and dental surgery. 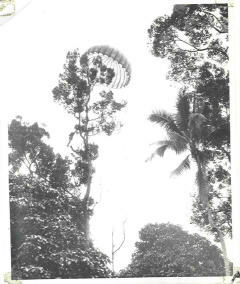 The Regiment suffered three dead as a result of a parachute drop into the jungle in Kedah in January 1954 in 'Operation Sword'. But in July all three operational Squadrons dropped in Perak with only negligible injuries. 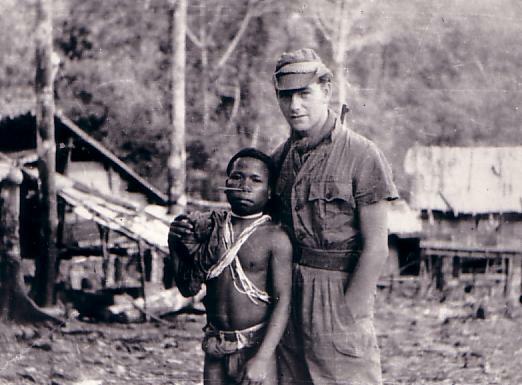 'Operation Termite' was to wrest control of a considerable area of country along the central mountain spine from the CTs and to work with the aborigines. Several new forts were set up and the last troops did not withdraw until November having killed 15 of the enemy. As an average, it has been reckoned that in Malaya it took 1,800 man-hours of patrolling for one kill. Much of the time on operations was spent simply surviving; men lost an average 10lbs over a fourteen-day period. Their clothes rotted on them, they suffered appalling jungle sores, grew pale from the perpetual twilight and often succumbed to heat exhaustion. A daily diet of Paludrine tablets kept Malaria at bay, but much time was expended removing leeches. Care of weapons was of prime importance and the danger of attack was constant. 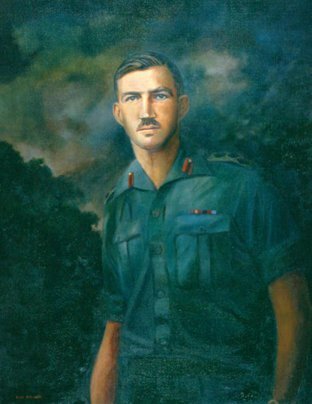 At the beginning of 1955 Oliver Brooke damaged his ankle in a parachuting accident and was replaced by Lieutenant-Colonel George Lea, who weeded out a number of unsuitable officers and cast his eyes over the operational methods of 22 SAS. The year was an important one and saw a considerable, short-lived, increase in numbers. John Woodhouse returned to command D Squadron after a short tour at Regimental Headquarters in England. He left behind a properly established selection set up at Dering Liensa in Brecon. Johnny Cooper was promoted to Major and took over B Squadron. A young Lieutenant Peter de la Cour de la Billiere joined the Regiment in that year. 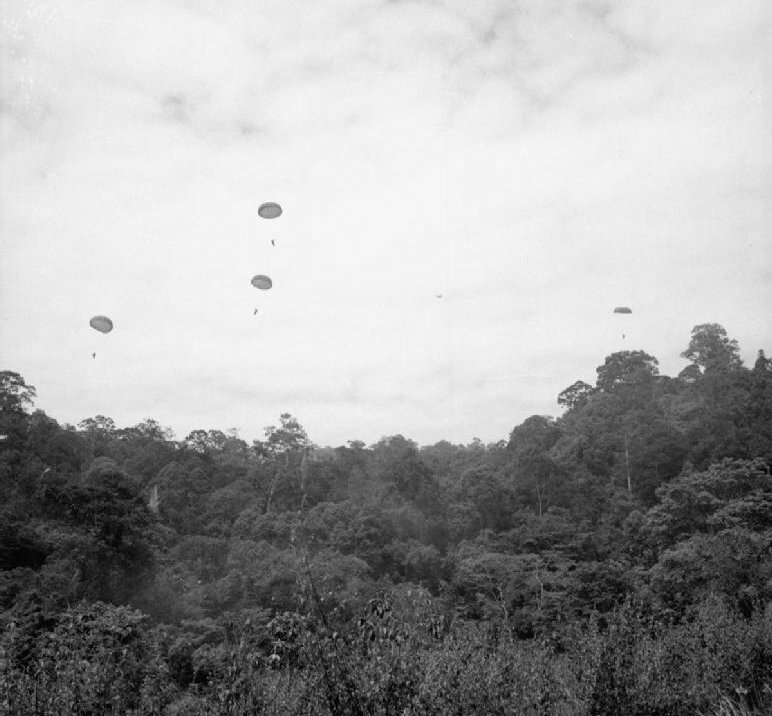 In the summer of 1955, a squadron of SAS was raised in New Zealand and after rigorous selection and basic training arrived in Malaya towards the end of the year, where they carried out their parachute course. The total strength of the squadron was 140, a third of whom were Maoris who found it easy to work with the aborigine tribesmen. Major Frank Rennie commanded the squadron. After a brief shakedown period they went on to make a valuable contribution to the strength. Another squadron was added to the strength at the end of 1955, formed from volunteers from the Parachute Regiment where it was known as the Parachute Regiment Squadron and commanded by Major Dudley Coventry. These additions brought the strength of 22 SAS to 560 all ranks, divided into five squadrons each with four troops of sixteen men, plus headquarters personnel and attached specialists. 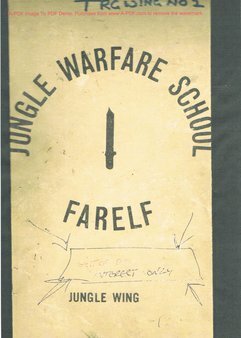 A normal pattern for a squadron was two months in the jungle, two wild weeks of leave, two weeks retraining and then back to the jungle. There were courses to be taken, new skills to be learnt and training was continuous. 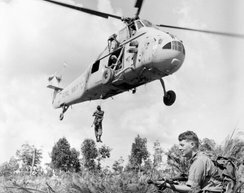 Training for warfare in other parts of the world was undertaken to give the SAS a life after the emergency in Malaya ended. 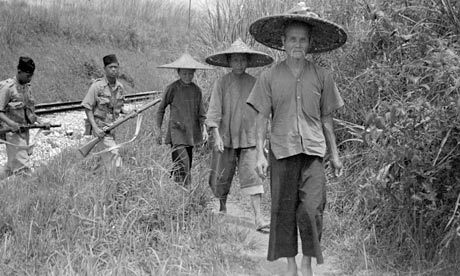 By the end of 1955 the back of the Malayan terrorist campaign had been broken and murder of civilians was down to five or six a month. The leadership had fled to Thailand and the policy of rewarding defections had paid off. Low flying aircraft equipped with loudspeakers made tempting offers of money and food. During 1955, the Parachute Regiment Squadron operated in the Ipoh area, hitting the headlines when they killed a woman terrorist, 'capturing' her six-month old baby, which they discovered afterwards and took care of. 1956 and 1957 saw the SAS campaign wound down. The Regiment had played a major role, and at the end of 1956 its official score was 89 terrorists killed and nine captured. The momentum was maintained with patrols that served to maintain the pressure on the remaining terrorists. In March 1956 Woodhouse took over Headquarters Squadron, Major Teede took over D Squadron, and Major Slim was promoted to command A Squadron. 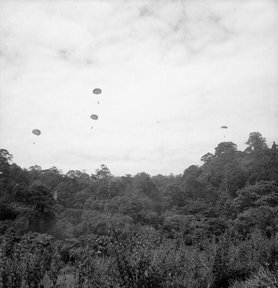 In April 1957, the Parachute Regiment Squadron returned to England and the New Zealanders also left, having accounted for fifteen enemies in their two-year tour. 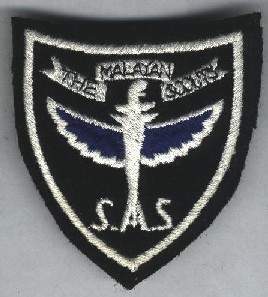 The last major operation in Malaya that the SAS participated in was 'Operation Sweep', which started in February 1958. This was designed to encircle and eliminate a small band of terrorists commanded by the notorious Ah Hoi. Ah Hoi was known to be holed up in the Telok Anson Swamps along the Tengi River northwest of Kuala Lumpur. 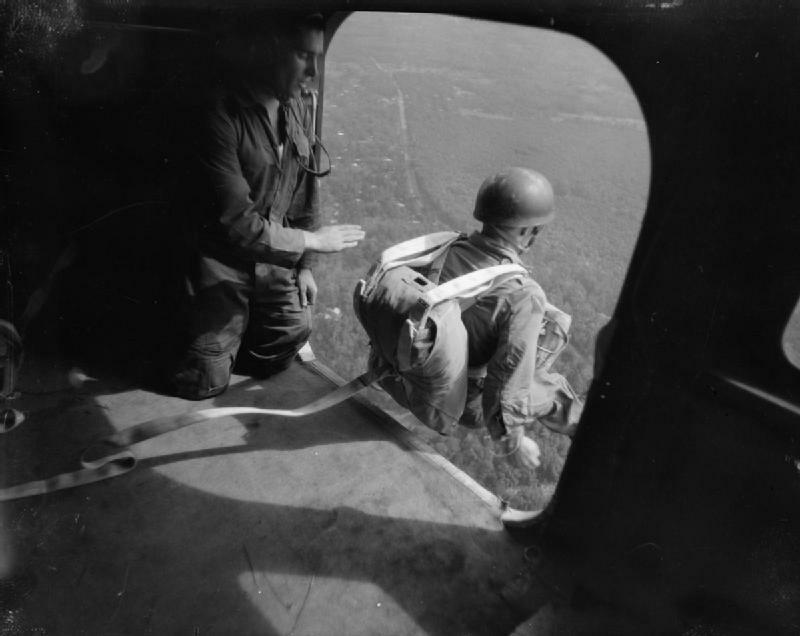 B Squadron was selected for the job under Major Harry Thompson and he decided on parachute insertion. One of the first Blackburn Beverley aircraft was in Malaya on a demonstration trip and this was used as a practical experiment. In the practice jump the 37 men left the aircraft in only 18 seconds, due to the large rear ramp instead of a small side door. 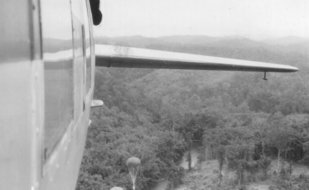 They arrived in a far more concentrated drop zone, but one man got his canopy snagged in a tree. It failed to catch and he fell to the jungle floor, breaking his back. A helicopter had to be brought in to evacuate the casualty and this alerted the enemy. Thompson decided to follow the course of the river and split his force into two groups to track the terrorists' passage through the swamps. 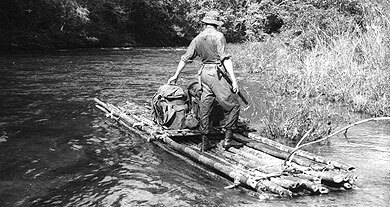 The SAS found themselves having to slosh through leech-infested water, at times up to their necks, and then cut their way through clumps of sword grass. The rain pelted down incessantly, dripping from tall trees and mosquitoes attacked continuously. The men's' boots rotted away and they ended up walking bare foot. At night they slung hammocks to get away from the perpetual swamp. Peter de la Billere's troop followed the trail left by the terrorists for ten days through the mud, keeping in touch by radio. At the same time, the other troops led by Sergeant Sandilands, moved to head them off, constantly alert for signs of human presence. A supply drop brought some rubber dinghies for Sandilands to move his patrols along the river at night. One of those waterborne patrols made the first contact when they came across a small group of the enemy who were cooking on the riverbank. The patrol was armed with only shotguns and as the range was too great the terrorists escaped. A day or so later an aborigine made contact and told Sandilands of a man and woman he had seen standing by the river. Sandilands took Corporal Flint with him and armed with a rifle, found and attacked the two terrorists. The man was killed outright but the woman escaped and fled into the jungle. A pursuit was mounted immediately. The woman's trail was easy to follow and the patrol found evidence of two camps evacuated in a hurry. In the meantime, the army and police threw a tight cordon around the whole swamp area. Harry Thompson had his reserve troop helicoptered in. The terrorists were felt to be operating in two distinct groups and by the ninth week the net was being closed. The breakthrough came when a woman, Ah Niet, came out and approached a patrol saying her group was almost out of food. Initially she imposed conditions, which the authorities refused to meet but the next day she returned and said she would bring out the rest of the terrorists. Harry Thompson took the surrender of a group of five and found Ah Hoi among them. Ah Niet led a patrol back into the jungle and within a couple of days three more terrorists had surrendered. In 1958, 22 SAS was a highly trained regiment, experienced and equipped with new weapons, skills and tactics and an adaptability that would be proven time and time again over the next forty years.